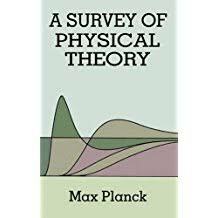 Max Planck research papers overview the work of the German physicist and his famous quantum theory, Planck's Constant. Max Planck the great German physicist formulated quantum mechanics and the quantum theory. Planck’s constant became one of physics’ basic constants. Now, startling new discoveries might be calling that theory into question. Constants in the universe might not be so constant, after all. Throughout the universe, energy is radiated in small packets, called quanta. Each quantum is equal to the frequency of the radiation multiplied by a universal constant. In other words, there could be no change in energy levels, even over billions of years. While physicists throughout the 20th century accepted Planck’s theory – as did the great physicist Albert Einstein – astrophysical studies begun in 1997 seem to indicate that the fundamental constant universally acknowledged might actually be stronger today than billions of years ago. John Webb of Australia’s University of South Wales has led an international group that has studied light from distant quasars. Their ongoing studies indicate that alpha, or the fine structure constant has strengthened by about one part in 100,000 over the past 8 billion to 11 billion years. Origins of Man - Origins of Man research papers profile the beginning of mankind through DNA testing and other scientific methods. Beyond Einstein - Beyond Einstein Research Papers look at a book by Michio Kaku and Jennifer Trainer about the idea of physics in higher dimensions. Thermal Energy - In addition to the random motion that exists in all form of matter, physicists and physical chemists have identified the existence of thermal energy. Quantum Field Theory research papers examine the framework for the construction of quantum mechanical models of various subatomic particles. Paper Masters writes custom research papers on Max Planck and overview the work of the German physicist and his famous quantum theory, Planck's Constant.